Outdoor Furniture Manufacturers Products: Price or Quality? It is undeniable that poly rattan furniture is a great choice for home decoration. Because the demand for rattan furniture increases, there are more and more rattan furniture manufacturer with various models in the market. People will have more options. Along with that, poor quality goods and counterfeit goods also begin to rampant with many different prices. So how to find the best solution to help you have a clearer view on how to choose high quality rattan furniture with affordable prices and suppliers with the best reputation? Normally, people usually evaluate products through designs and based on cost, but it is difficult to distinguish the dominant characteristics of rattan furniture including the quality of plastic rattan fibers, the durability of aluminum frames and the quality of the accompanying cushion. So let’s find out what kind of risks that you may encounter when buying the rattan furniture from the unreliable wicker furniture suppliers. 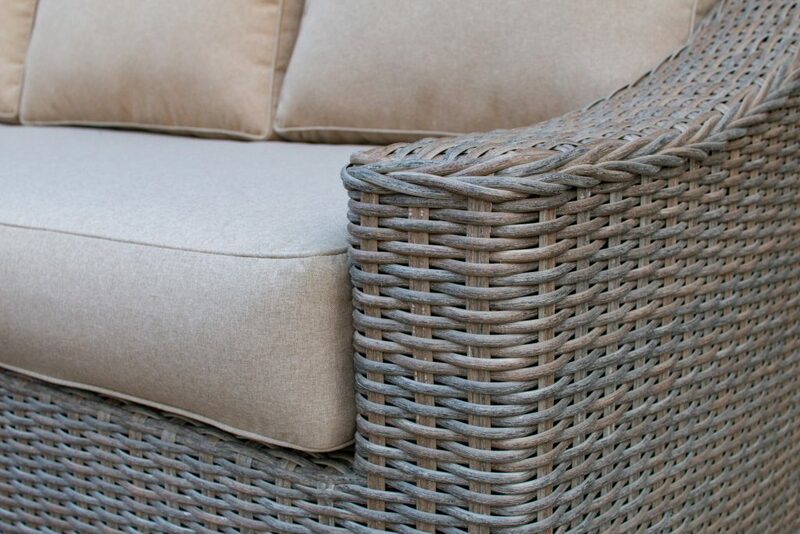 First of all, low-cost rattan products are often made from poor quality materials. After a short period of use, plastic wires will be damaged due to high temperature of sunlight and due to high frequency of use. Besides, the cheap metal frame can be broken by enduring users’ gravity for a long time which is extremely dangerous. For patio decoration, typically wicker sofa set; unless using good fabric material, the sofa will quickly fade due to the impact of bad weather. As for the seat cushion of cheap poly rattan products, after sitting for a while, the mattress will collapse and change the original design of the product. Customers can choose for themselves the suitable rattan products according to their needs such as sofa sets, dining tables, swing chairs, sunbeds, … depending on different styles. With many years of production experience and exporting in the field of high-end furniture, ATC Wicker Furniture Manufacturer is always the first brand choice in this market. ATC Rattan Furniture Supplier always uses high quality poly rattan material to ensure the durability of each product as well as protect customer’s health. 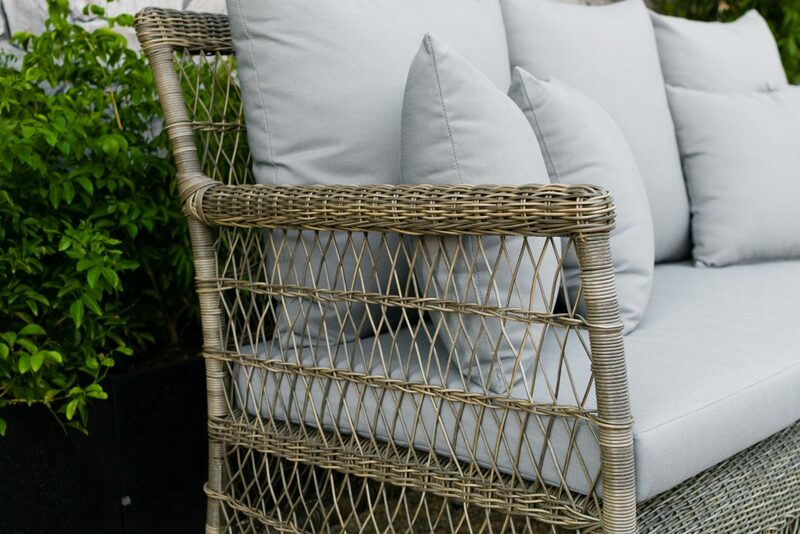 Non-toxic rattan is absolutely made from PE or synthetic poly material to have a long life. Also, poly rattan furniture is suitable for both indoor and outdoor spaces. These materials allow furniture to withstand moisture and harsh weather. Another plus is that the rattan furniture is lightweight, so moving and relocating them will be quite easy. All thanks to the frame which is made up of treated sources of solid wood, while also creating durability for interior products. Pillow types are also produced with high quality and stunning designs. In addition, premium upholstery fabrics are supplied from the famous American Sunbrella fabric with the advantage of water skiing but still ensure a sense of comfort for the user. In conclusion, with the strength of providing rattan furniture with superior quality and reasonable price, ATC Wicker Furniture products will surely bring great experience to you. Which is better: Outdoor Wooden Furniture or Synthetic Rattan Furniture? Restaurant Furniture In Charming Places – What Did They Choose?